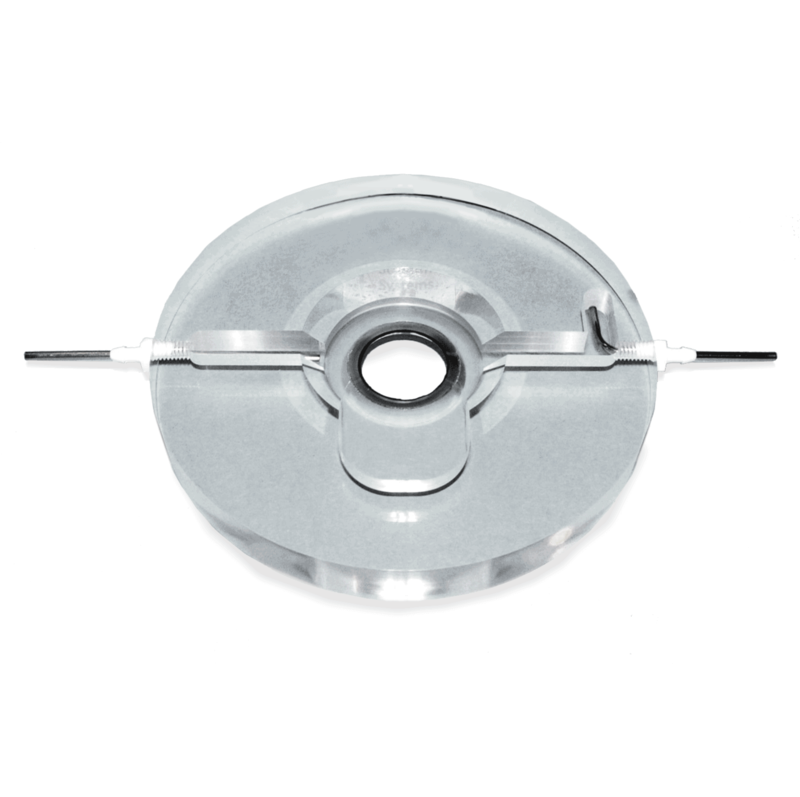 The MS-5 chamber has been designed for use on microscope stages to view glass cover slips containing cultured cells. Cover slips smaller than 25mm with cell cultures are placed directly on top of a fixed glass cover slip glass at the base of the MS5. 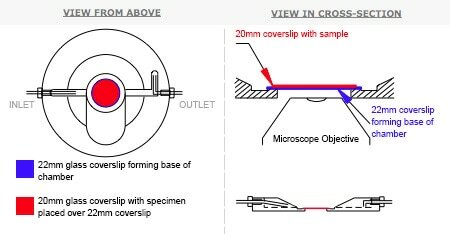 The chamber can be used with inverted microscope stages but the glass cover slip at the base of MS5 will add 200um to the existing cultured cover slip thickness. The glass-to-glass adhesion between the cover slips keeps the sample stable for viewing under submerged conditions. Incubating media flows across the cultured cells with the possibility of temperature control with an in-line perfusion solution heater MH02 available separately. The particular feature of this chamber is the raised glass cover slip that allows the cover slip containing cultured preparations to be slipped off side-ways and returned to the incubator if required. Adaptor plates are available for various microscope stages. Min. capacity of pool formed above coverslip and channels leading to inlet and exit ports is 2ml.